Candice Beaumont is Managing Director & Chief Investment Officer who runs L Investments, a single family office with a vast portfolio of public and private equity. She oversees all capital allocation decisions for the internal fund of funds as well as the direct investment portfolio. The direct investment portfolio has had a focus on commodities and alternative energy. She is also a strategic advisor to Genoil Inc, (www.Genoil.ca) an emerging heavy oil technology and portfolio company of L Investments that announced moving forward on a joint venture with His Highness Dr. Sultan Bin Khalifa Bin Zayed Al Nahayan, the eldest son of His Highness Sheikh Khalifa Bin Zayed Al Nahayan, President of the United Arab Emirates, Supreme Commander of the UAE Armed Forces, and Ruler of Abu Dhabi. Candice is as an Advisory Board member of the Family Office Association, a global membership organization exclusive to single family offices and families of significant wealth. Ms. Beaumont has been a speaker at numerous family office and investment conferences globally and is a NYU Stern Family Office Council member serving on the Steering Committee. She also serves on the Steering Committee of the Yale University School of Management College of Family Offices, as well as the Princeton University Council of Family Offices and Endowments, and sits on the Advisory Board of the Salsano Group. Candice was a member of the Board of Directors of I2BF Venture Fund II, a DFSA regulated clean tech venture capital firm with offices in Dubai, New York, London and Moscow, as well as an Advisory Board member of The Luxury Fund. Ms. Beaumont remains committed to community and philanthropic causes and serves on the Board of Directors of Most Valuable Kids of Greater New York Inc., a charity that helps reward and inspire underprivileged children by getting them access to sports events. She is also a member of Athletes for Hope, a charity that helps athletes make a difference off the field with charitable endeavors, and has spent her time on the tennis court helping less fortunate children. Candice is also a Board Member of Care for Kenya a charity that helps strengthen the socioeconomic conditions in Kenya by creating opportunities for women of all ages to become entrepreneurs – working toward a sustainable model that will support generations to come. Candice is also passionate about gender parity and is a Steering Committee member for A Call to Action for Gender Equality: Achieving ‘Planet 50-50’ by 2030 conference in support of United Nations Women and the Women’s Foundation for Gender Equality as well as serving as Chairperson for the Women Directors Institute that seeks to increase participation of women on corporate and charitable boards. Candice Beaumont has well over a decade of experience in the investment business. She started her career in Corporate Finance at Merrill Lynch. Ms. Beaumont worked as an investment banker at Lazard Frères for several years, executing over $20 billion of merger and acquisition advisory assignments. She left Lazard to work as a private equity principal at Argonaut Capital, where she was responsible for all aspects of new investment execution for the firm and its portfolio companies. 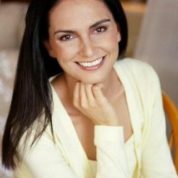 Ms. Candice Beaumont attended Rice University, and obtained a Bachelor in Business Administration from the University of Miami, graduating first in her class with a major of International Finance & Marketing. Candice was Captain of the Miami Varsity Tennis team earning Academic All American honors and is also a former world ranked professional tennis player. She completed Global Leadership & Public Policy for the 21st Century at Harvard Kennedy School in 2015. Candice was honored as a Young Global Leader by the World Economic Forum in 2014.